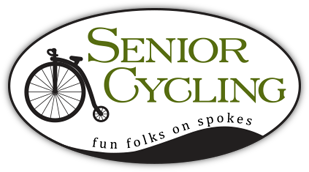 Our Mission is clear: To offer active people over 50 an outdoor bicycling adventure in a beautiful location. We share our passion for bike touring with you through our fun, safe and relaxed bike tours. Our tour leaders have thousands of combined hours in the saddle. We’ve been there, done that. Had the problem, fixed it. We know our stuff! Our groups are small—limited to 13 riders—to ensure superior personal service, safety and care. Mark and Colleen Troy are the owners, drivers, chefs, and Chief FUNSTIGATORS. Yup, that’s right, we said it! Our SAG wagon is available at all times if you ever feel the need for a lift. We maintain cell phone contact with the SAG wagon at all times for added security. We make a promise to do what ever it takes to ensure you have an enjoyable tour with us.